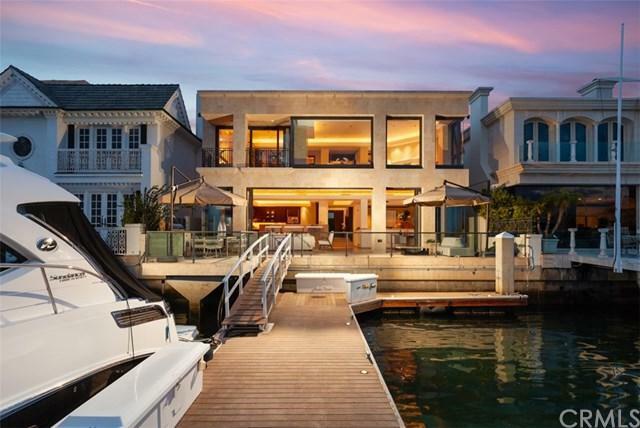 The ultimate waterfront location! 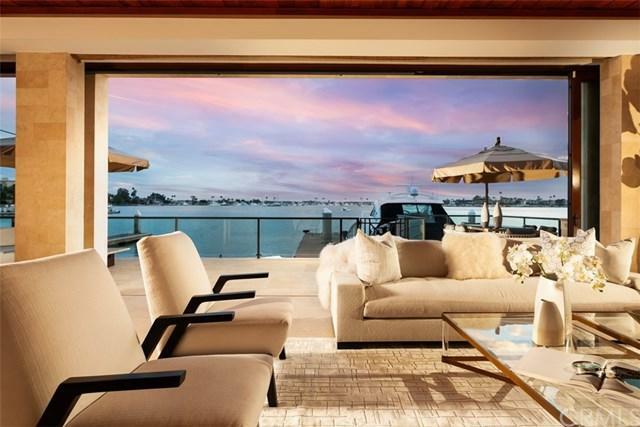 37 Linda Isle in Newport Beach is a stunning masterpiece where contemporary architecture and uncompromising interior design unite to create a landmark residence by renowned architect Fleetwood Joiner. 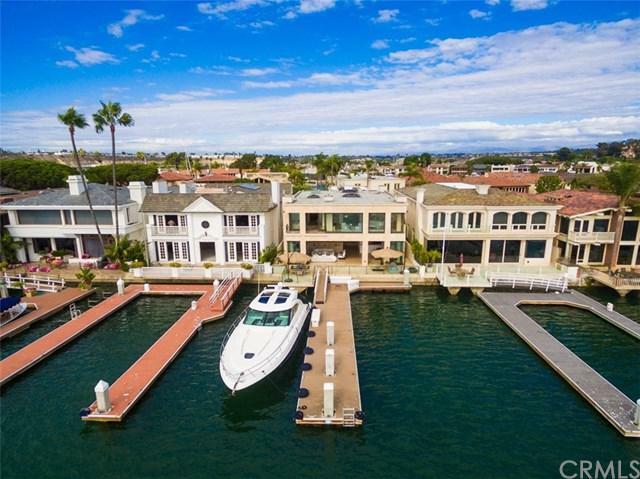 Located on the +G+Gold Coast+G- of the exclusive guard-gated island of Linda Isle, this custom estate enjoys unobstructed bay front views which embrace the Newport harbor main-channel yacht-turning basin, city lights and ever-changing sunsets, adding the ideal backdrop to outdoor entertaining on a spacious terrace with built-in BBQ, and a dock that can accommodate and 85' vessel and other boats. Unparalleled beauty and grace continue indoors, where a custom bronze waterfall cascades over 3 stories crowned by a large skylight. Renowned artisans crafted much of the estate+GGs finishes, including hand-carved mahogany and koa wood entry doors, French limestone inside and out, and koa wood ceilings. Approx. 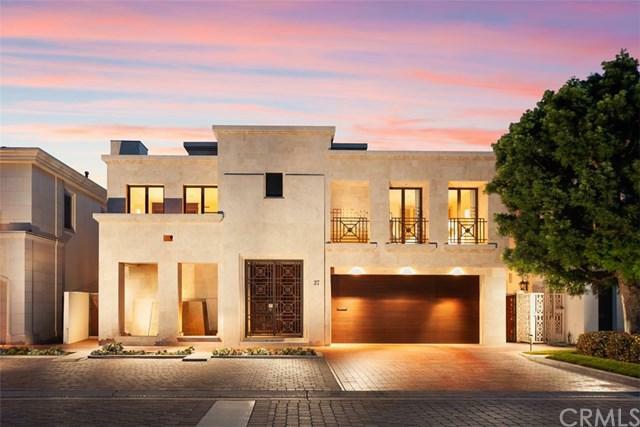 6,300 s.f., this grand showplace is home to 4 ensuite bedrooms, 5.5 baths, a billiards room, designer kitchen, great room with disappearing sliding doors to the terrace, and a subterranean wine cellar with capacity for more than 1,000 bottles. A Crestron smart-home system simplifies operation of electric window coverings, lighting and whole-house audio, and a Kaleidoscope entertainment system is integrated into all TVs. Listing provided courtesy of Cammy Leslie of Residential Agent Inc.